Hey guys! So this make-up look was taken from the movie 'Black Swan' which, in my opinion, is one of the best movies I have EVER seen. Seriously, GO SEE IT! This is the first of 2 Black Swan inspired looks that I will be doing. 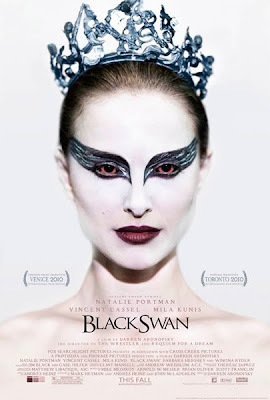 This one was taken from the movie poster shown below, where Natalie Portman portrays the Black Swan. The other look will be taken from the other promotional movie poster where she is shown as the White Swan. Anyway, I hope you like this look and click 'read more' for the product list!